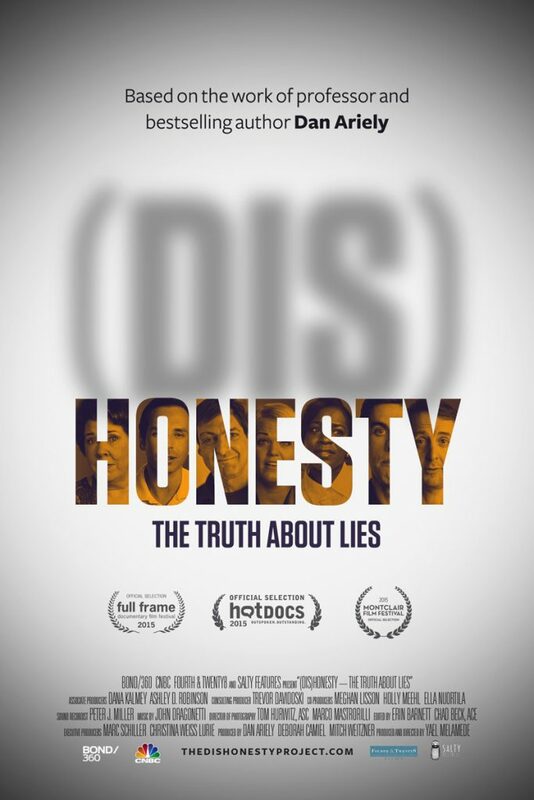 This deluxe version of (Dis)Honesty – The Truth About Lies includes the critically acclaimed film plus over thirty minutes of bonus material, including interviews with: convicted felon and former CFO of Crazy Eddie Sam Antar, US Attorney for the Southern District of NY Preet Bharara, CEO of Ashley Madison Noel Biderman, former NFL Player Rashod Kent; transgender author and professor Joy Ladin; filmmaker Albert Maysles, U.S. Senator from Arizona John McCain, and former DC police detective Jim Trainum. It’s human nature to lie; we all do it! 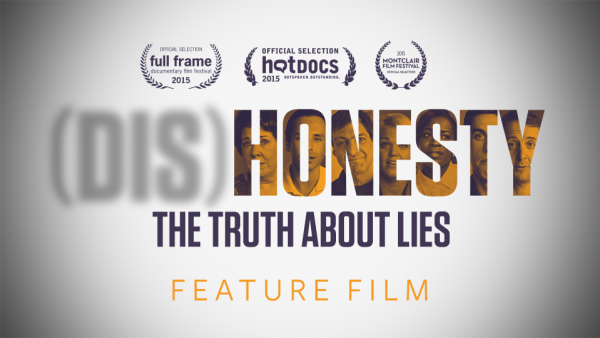 From scandalous headlines to little white lies, (Dis)Honesty – The Truth About Lies explores the complex impact dishonesty has on our lives and everyday society. Have you already seen the film and want to explore more dishonesty? Enjoy the bonus features from the deluxe package by themselves, featuring exclusive interviews with: convicted felon and former CFO of Crazy Eddie Sam Antar, US Attorney for the Southern District of NY Preet Bharara, CEO of Ashley Madison Noel Biderman, former NFL Player Rashod Kent; transgender author and professor Joy Ladin; filmmaker Albert Maysles, U.S. Senator from Arizona John McCain, and former DC police detective Jim Trainum. We’ve put together a brief activity and discussion guide for families and groups to enjoy after watching the film. It is meant to encourage meaningful and thoughtful discussions about our (dis)honest behavior. We believe talking about the complexity of honesty and dishonesty can bring us closer together and help us become our better selves. Will your screening take place in an educational or institutional setting (or other)? Do you have a venue set for the screening? If so, how many seats are in this theater? How Many times do you plan to show the film? Do you have a date in mind for your screening? Would you like to be notified about other upcoming films?